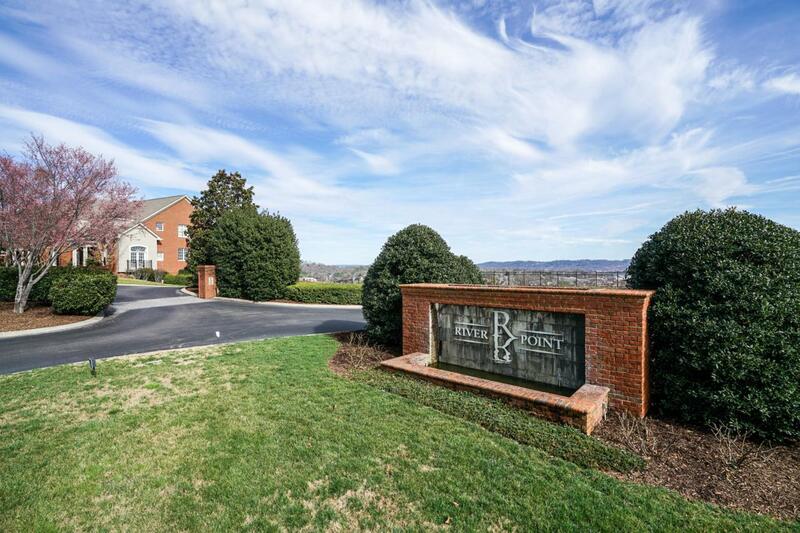 Enjoy waking up and coming home to magnificent panoramic views of The Scenic City that stretch from North Chattanooga, through downtown, over to Lookout Mountain, as well as the Riverbend fireworks! Convenience becomes your new way of life, and time will be on your side when you call River Point home. 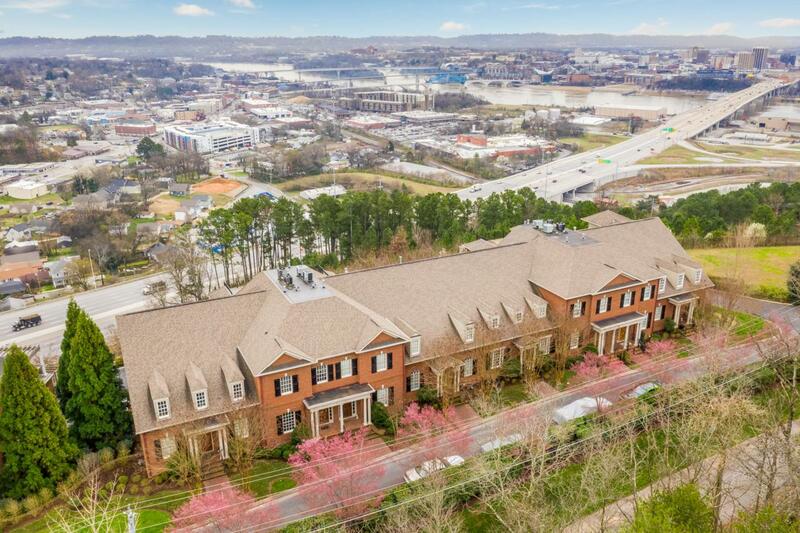 You will have bicycle routes, hiking trails, golf course, gyms, private schools like Baylor, Bright School, and GPS, North Shore's top tier restaurants and shopping, Whole Foods / Publix, TN River, Coolidge Park, downtown, major medical facilities and so much more will be right at your back door. As soon as you enter the front door, you are welcomed with 9' ceilings, natural night, sophisticated decor, and an open concept which makes entertaining a breeze. The main level offers a formal dininroom, nicely appointed spacious kitchen with an oversized island, upscale stainless steel appliances, Decor 5-burner gas range, Jenn-Air refrigerator, pantry, and it is completely open to the den with a gas fireplace, a wall of windows to take in the views, and a glass doorway that leads you to the covered tiled balcony with brick archways. The main level also has a half bath and you can access the elevator that easily takes you to all levels of this home. The second level offers a master suite that boasts stunning views and natural lighting, French door to the second covered balcony, and an en suite with a luxurious master bath with jetted tub, separate tile shower with rain shower head, private water closet, and two walk-in closets with organizer system. There is also an additional bedroom suite with its own private bath and walk-in closet.The third level offers storage and an open balcony to take in more of the views! The lower level has a spacious rec room with a gas fireplace, a refreshment center, large laundry room, half bath, and a double garage with additional storage. There are smart home features and surround sound wiring throughout the home. 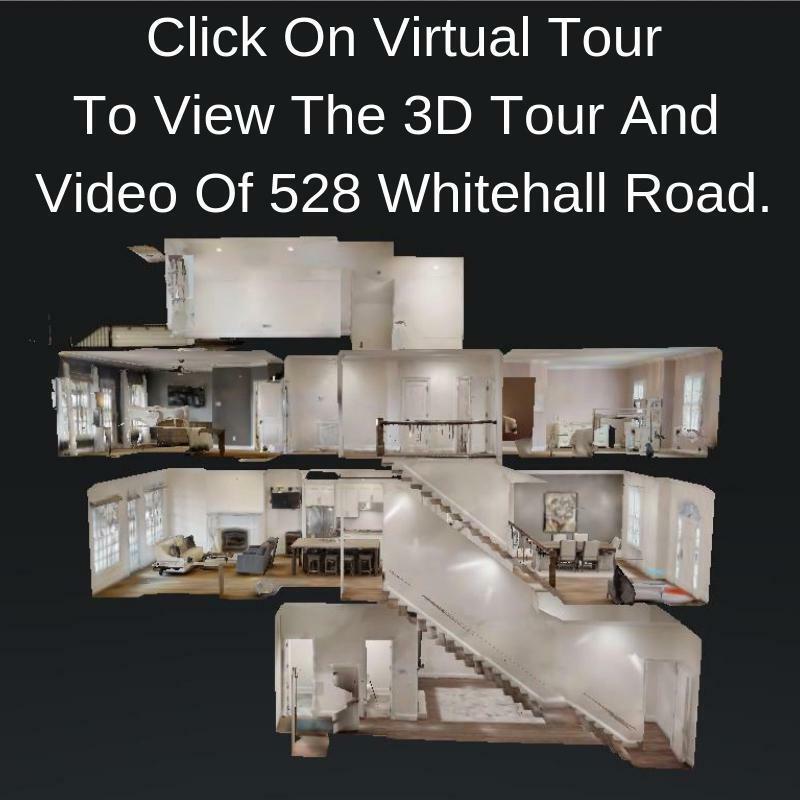 Life can be more enjoyable when you call 528 Whitehall Road home, so be sure to schedule your tour today! Buyer is responsible to do their due diligence to verify that all information is correct, accurate and for obtaining any and all restrictions for the property. 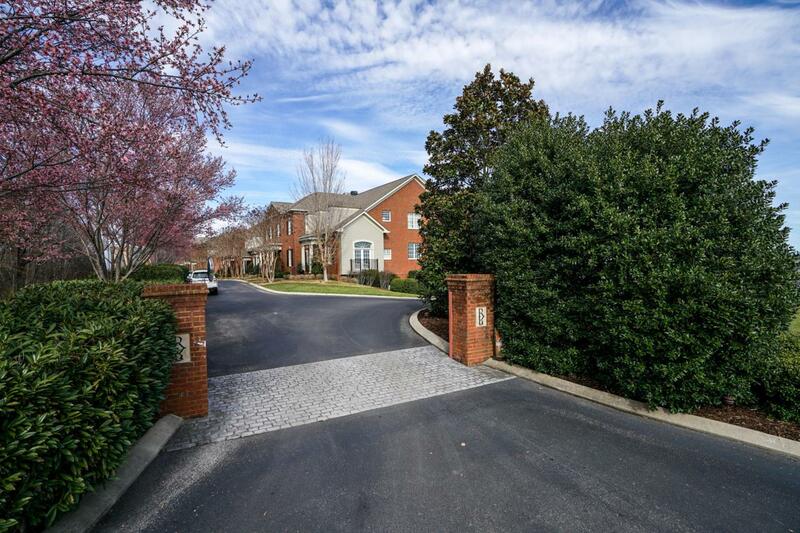 Listing courtesy of Real Estate Partners Chatt Llc.